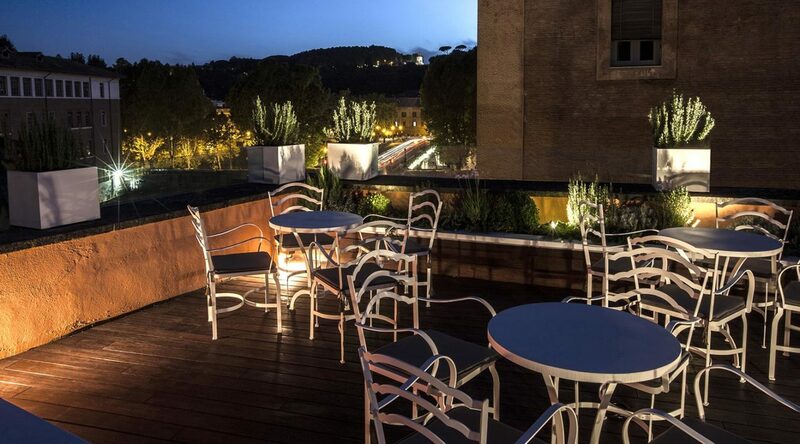 A wonderfully romantic terrace, one of the hotel’s unique surprises, awaits guests on the rooftop. 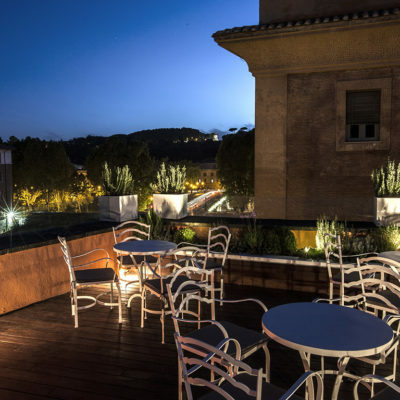 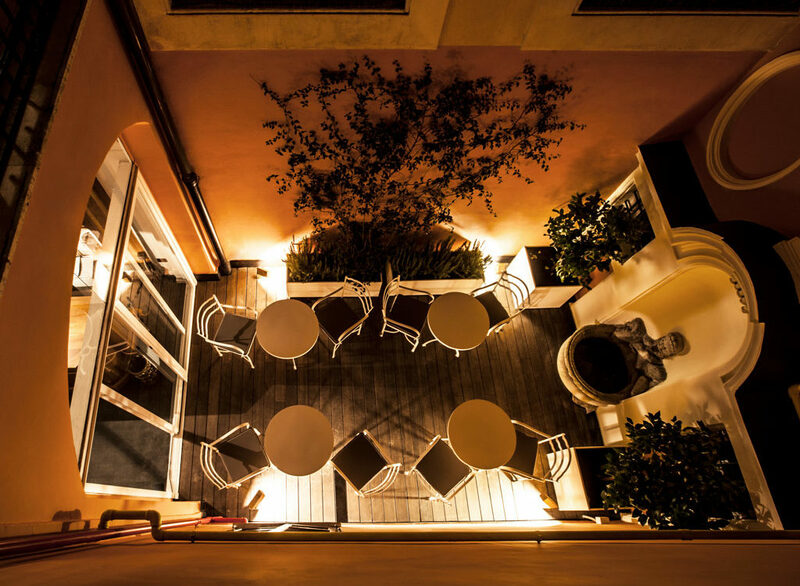 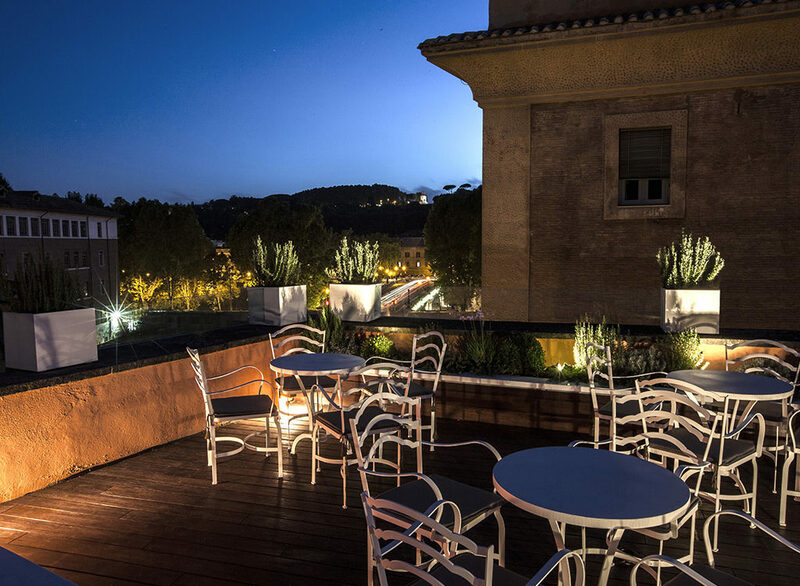 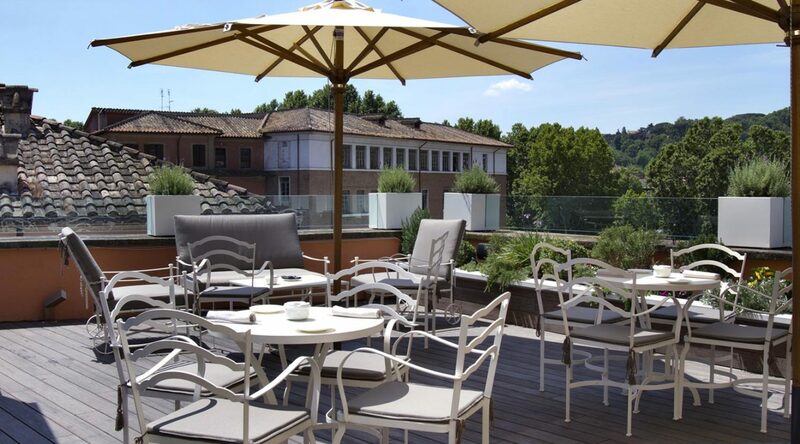 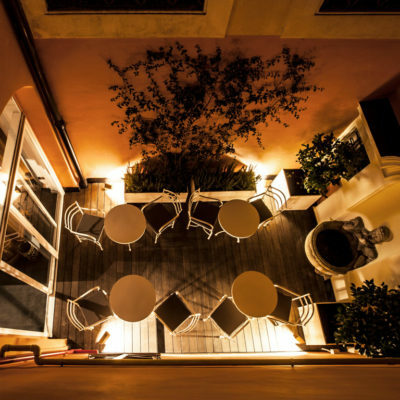 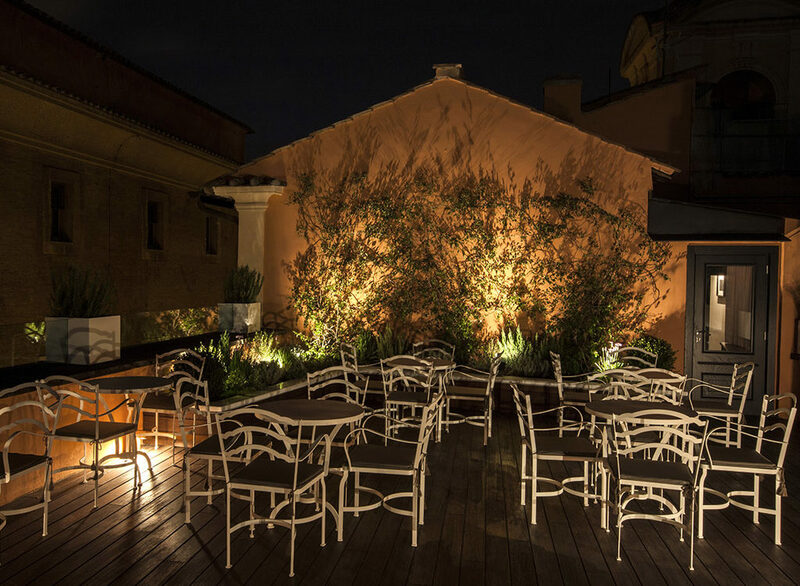 Offering gorgeous views of the historic city center’s rooftops and bell towers, along with an exclusive view of the Tiber River and Gianicolo’s verdant green hills, the space is elegantly furnished with white wrought iron chairs and plush sofas in taupe tones. 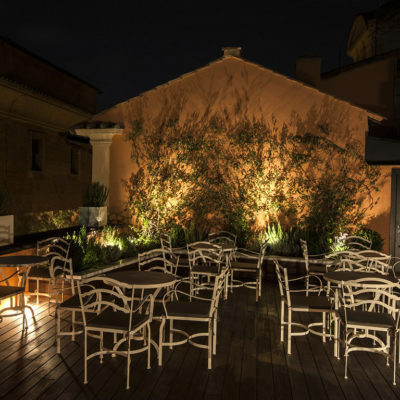 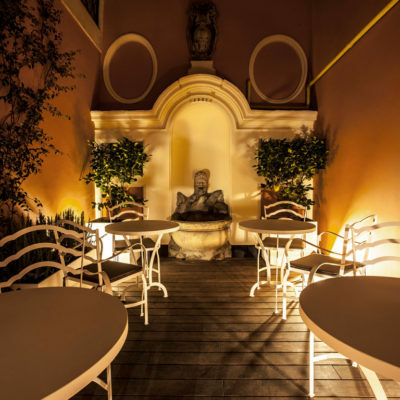 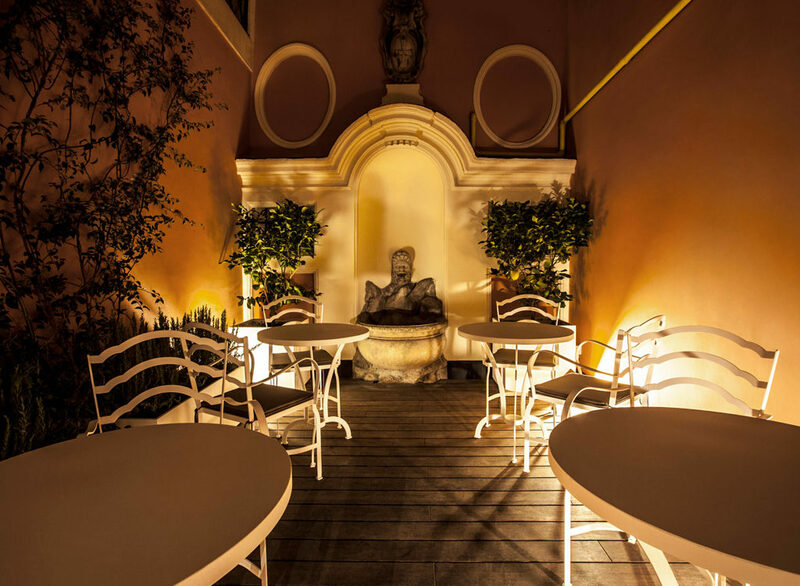 The design recaptures the style of Rome’s La Dolce Vita era and an intimate aromatic herb garden, typical of modern Roman households, evokes a sense of warmth and hospitality, along with a lingering fragrance from the surrounding verdant flora. 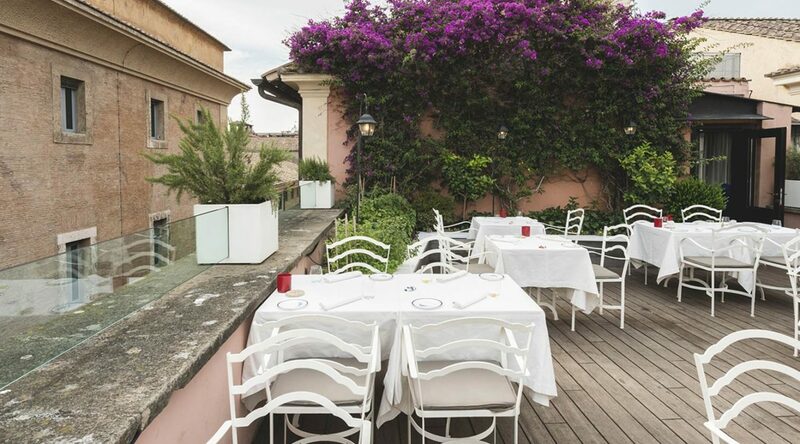 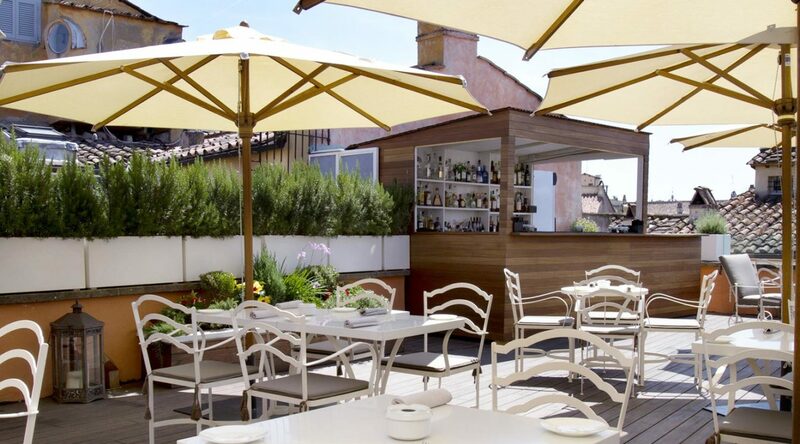 During the summer months, the rooftop is the place where the kitchen proposes delightful seasonal menus characterized by ingredients and dishes with colors, tastes and fragrances reflecting the Italian gastronomic tradition.